DATRON machining centre to help it move to the next stage of their impressive growth programme. The DATRON M7 Machining Centre adds flexibility to the production of Shadow Robot's hands. The DATRON M7 machining a wrist yaw component for Shadow Robot’s hands giving a clean, accurate cut in aluminium. Shadow Robot are leading the world in robotic hands with the help of the DATRON M7 Machining Centre. Shadow Robot, formed in 1987, has established its niche market leadership through the innovative development of robot hands that perform with the same range and delicacy of movement as the human hand. Their range of hands and complementary muscles find ready uses in difficult, dangerous and dirty applications associated with, for example, security, nuclear, medical and space-related applications. Also, many universities, R & D facilities and centres of excellence use Shadow Robot products within their own research programmes. The complexities of the human hand are replicated by their robotic hands, with over 700 manufactured parts – in aluminium and Delrin – having to be machined for each hand. In the company’s early days – albeit when the hands were less complex – hand-machining was the order of the day on a range of materials including wood, Perspex and aluminium. 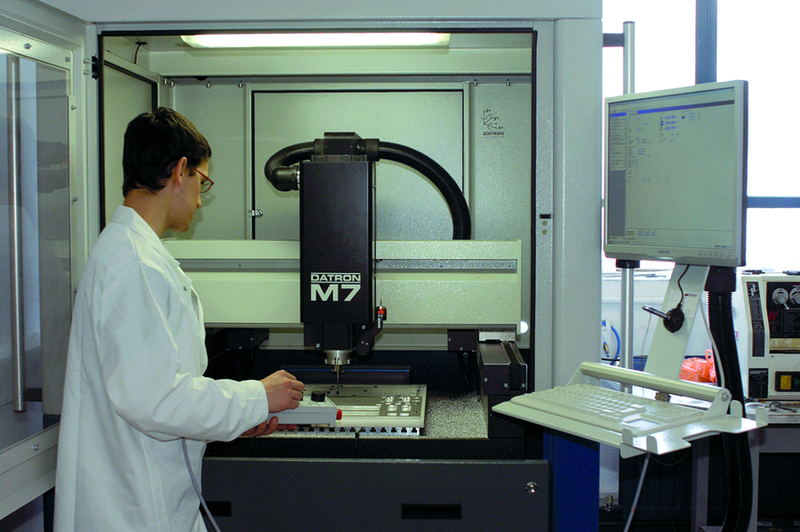 Over the years different milling machines were used, but as the robot hands evolved into much more state-of-the-art products and business grew, there was a need to find a machining centre that would more than keep pace with the company’s development, creating the world’s most advanced robot hand. 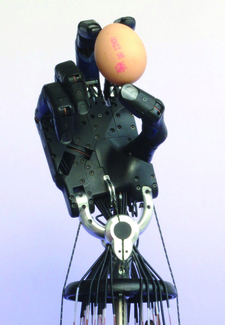 Shadow Robot, almost at a stroke, were able to save over £ 75,000 p.a. by being able to retain production in-house that had previously been outsourced. The production group also received an enormous fillip and took immediate ownership of the machine, enabling them to set up their new production facility off-site. Additional time-saving advantages are also gained through the calibrated tool system and the speed in setting up which has been cut by up to 87%. 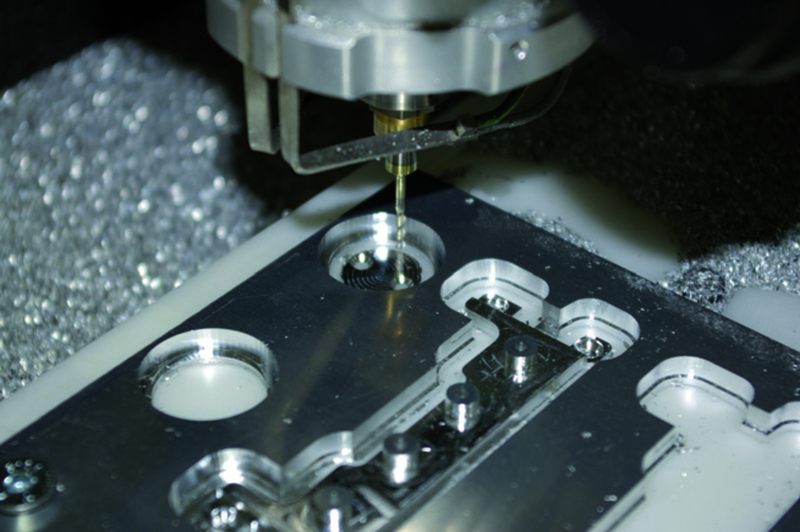 Speed in the manufacture of parts has also been cut by up to 85%! Datron are proud to be playing their part in the growth of Shadow Robot and in helping them cement their position as world leader in the development of robotic hands.